As the last few leaves trickle from the treetops and the air turns chilly, we seek warmth and comfort in our homes more than any other time of the year. There’s nothing quite like sinking into the sofa with the fire blazing, or reading to candlelight while the snow falls outside. Our surroundings have a big impact on our happiness at home. And especially, how cosy we feel. There are lots of things we can do with our décor to create the idea of warmth, and making the right choice of flooring is one of them. 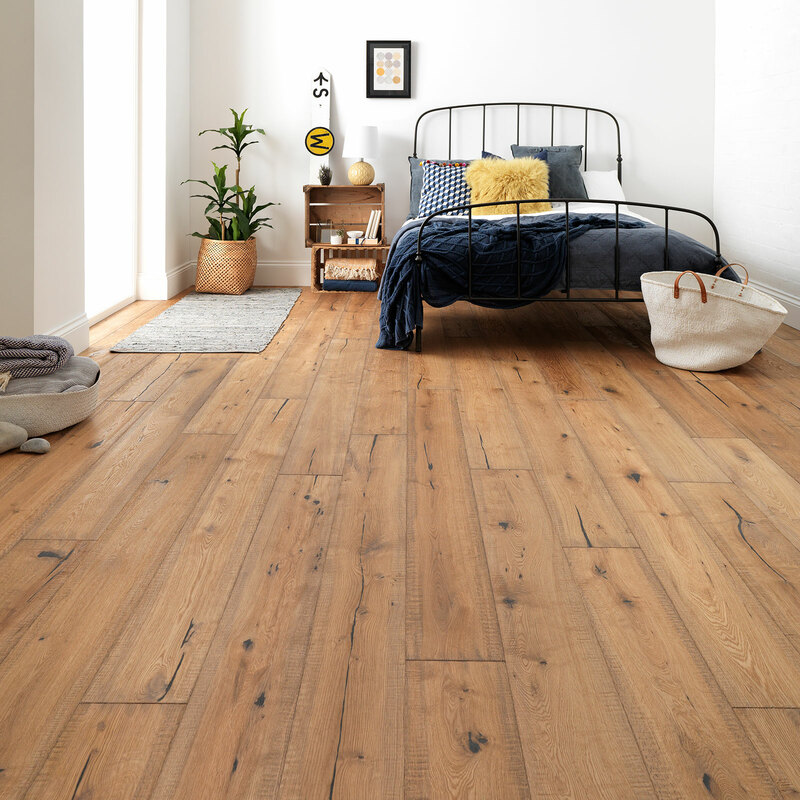 Taking up a large area in any room, the floor can have a big impact on just how inviting a space feels. 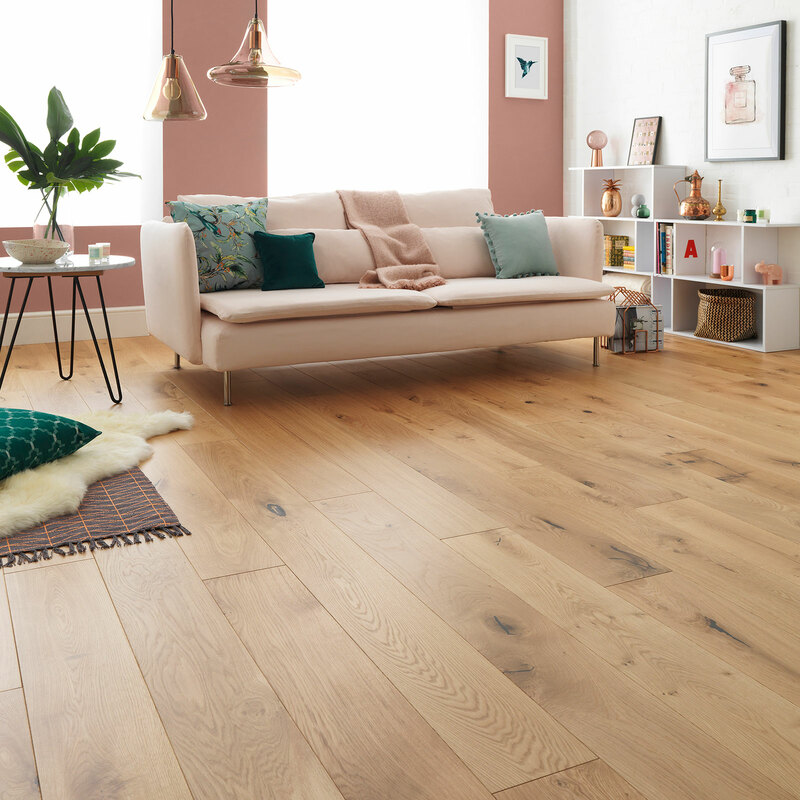 True to the shades of the tree, Natural Oak floors are beautifully inspired by our vibrant woodlands. Golden tones and sunny hues bring a wonderfully warming feel to beneath the feet while rustic details add timeless style. Decorate with cosy shades of pink and green to create a blissful retreat. Layer rugs, cushions and throws in tactile fabrics to capture a lived-in feel. You’ll want to stay snuggled up all day. Floors with reddish tones are rich and exciting. They evoke the zest of autumn in their undulating shades and textures – perfect for a cuddly nook. The key with bold woods is to keep the rest of your décor light. Consider a palette of grey and pared-back pastels, and add houseplants for a touch of the fresh outdoors. It’s the perfect recipe for sweet dreams. Timeworn wood floors are adorned with the charming effects of decades of footfall. They capture a rural, homely feel that’s familiar to a cottage or farmhouse. Their rippling surfaces, bold knots, splits and cracks make them truly distinctive. Pair antique designs with industrial-style furnishings for a modern take on the vintage look. Add lots of cushions and blankets to soften the space, and include a dim lamp for curling up with a book. 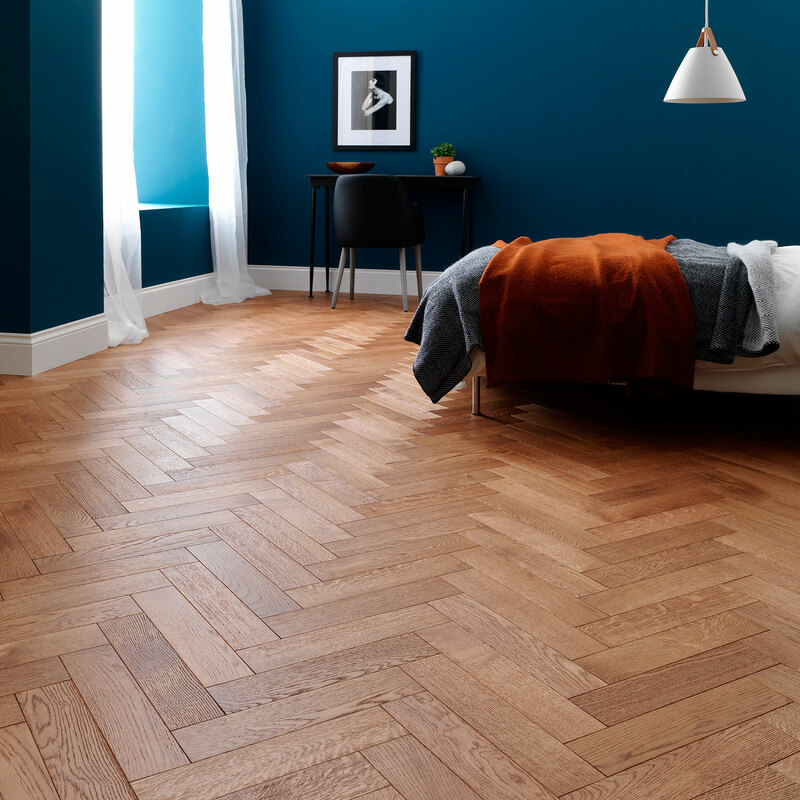 Parquet flooring thrives with style. Not only does it evoke a traditional feel, but by bringing wood of various shades and details together in beautiful patterns, it’s truly inspired by nature. Herringbone designs have an intrinsic cosiness that can be tracked in homes that go back generations. A coffee shade makes the perfect complement to a dark palette. Embrace the moody trend to create an irresistible space. 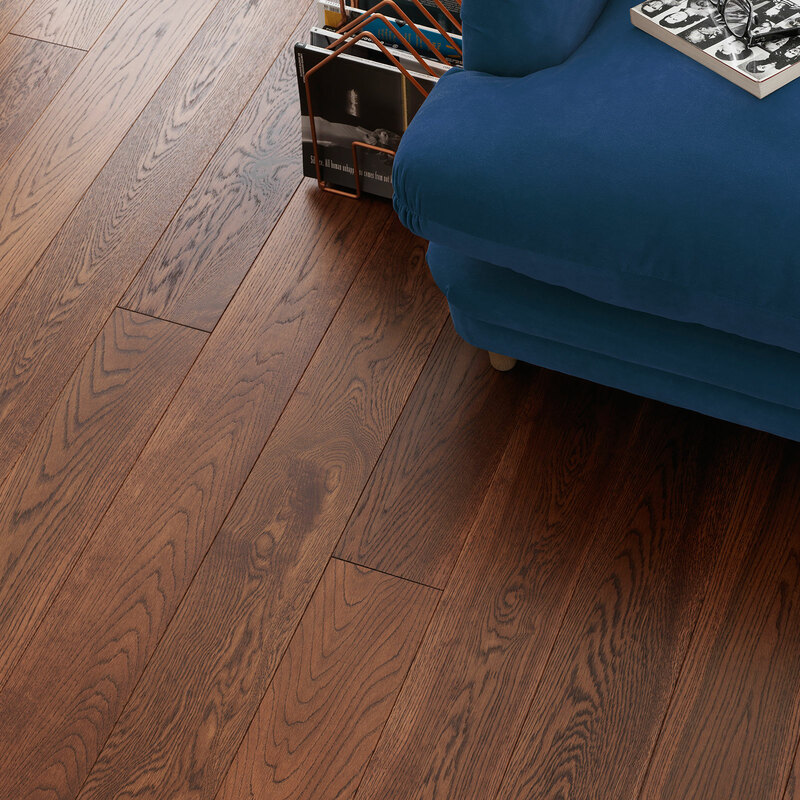 Browse our wood flooring collections to discover more cosy shades. As the air turns chilly, we seek comfort in our homes more than any other time of the year. These warm wood floors can create a cosy space this winter.